A theme can serve as inspiration for decorations and games, even the invitations, favors and nametags. It makes planning and preparation simpler to have one central theme. As mentioned above, games are a great way to get guests who may not know each other, to interact. They’re great ice-breakers and can really set the mood for your bridal shower. About three games for a two-hour shower are just right. Bridal shower games should be the fun part of planning your shower, so don’t wait until the last minute to think about them! Now is the time to finalize the guest list and get those invitations sent out! Invitations to any bridal shower are the guests’ first clue to the theme of the bridal shower. Pick invitations that reflect the theme, and don’t forget to include any special instructions or requests. Welcome to Bridal Basics, Division of Windsor Business Networks. Enjoy your visit and come back often! 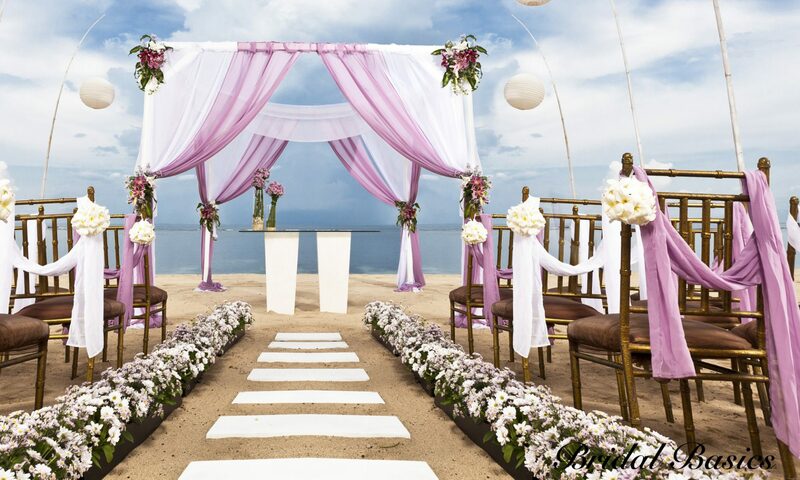 Where are the best places for honeymoons and destination weddings? For anyone who needs assistance with their wedding and would like help getting deals on products, information about sponsored weddings or to ask for a helping hand with the arrangements.